If you smell it, you breathe it. Unfortunately, pollution from industrial plants, diesel exhaust and wood smoke in Allegheny County still poses a significant threat, making the air we breathe dirty and people in our communities sick. People living in SW Pennsylvania have a significantly higher risk of developing cancer due to this exposure. Our air was ranked 8th worst in the United States in 2016 by the American Lung Association. Foul odors outside may indicate a serious pollution problem in your community. If your air smells toxic, then it is possible that you are inhaling toxins. Now, there is something simple you can do to help improve our air. Download and use the new Smell PGH app, which allows you to report foul odors directly to the Allegheny County Health Department (ACHD) so they can better monitor and act on these incidents of bad smelling air. The app also includes a compelling visualization of smell reports across Pittsburgh, so you can see the widespread impact of poor odors in our community. 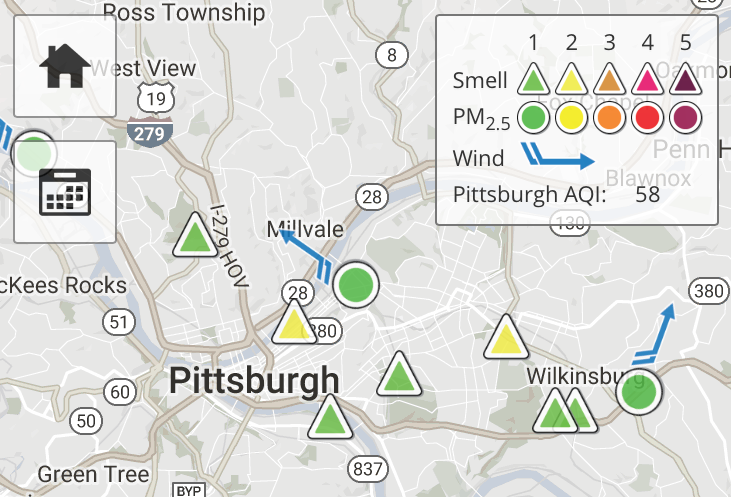 Smell PGH, created by Carnegie Mellon University’s CREATE Lab in collaboration with many Pittsburgh partners, crowdsources smell reports so that air pollution across Pittsburgh can be tracked through our experiences with poor odors. The app is easy to install and it only takes seconds to submit a smell report. When we come together as a community, we’re able to take big steps toward cleaning up our city’s air, once and for all. It’s time for us to work together on improving the air we breathe and building a sustainable future for everyone in Allegheny County. Be part of cleaning up the air in our neighborhoods and communities. Visit bit.ly/smellPittsburgh to learn more and begin using the Smell PGH app. As you wish play the jumble player https://jumblesolver.online game so beautiful game.